Discussion in 'WIP (Work in Progress)' started by Randdalf, Apr 21, 2008. I've been keeping this map generally quiet, but I have done some preliminary alpha testing on my clan's european server. I have fixed most problems with the alpha so now I feel it's time to release the beta. 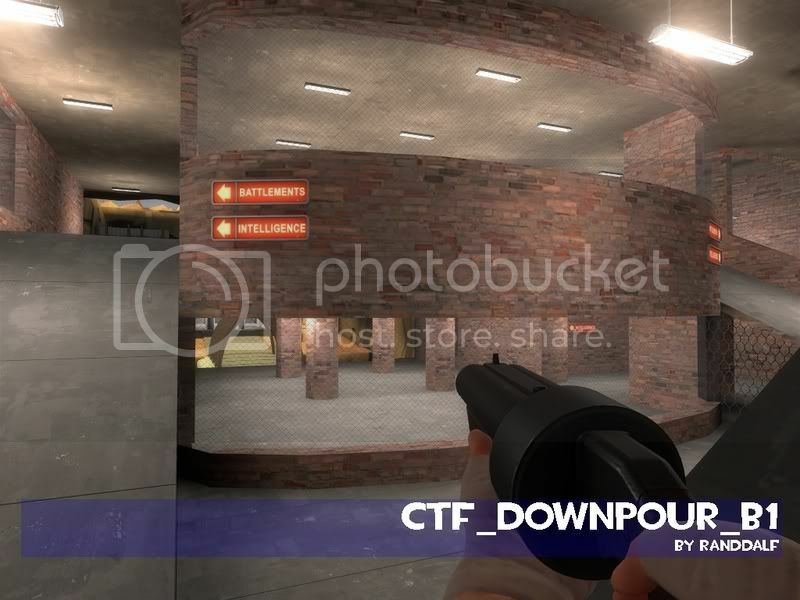 Downpour is a standard ctf map, at the start of the round, but as time passes, water slowly builds up over the level, eventually flooding all but the second level, hence the name downpour. I've updated the current BETA version due to some major glitches in the map. resembles 2fort a lot with a twist thrown in with the water... good idea! Yeah, my friend and me thought the idea up. 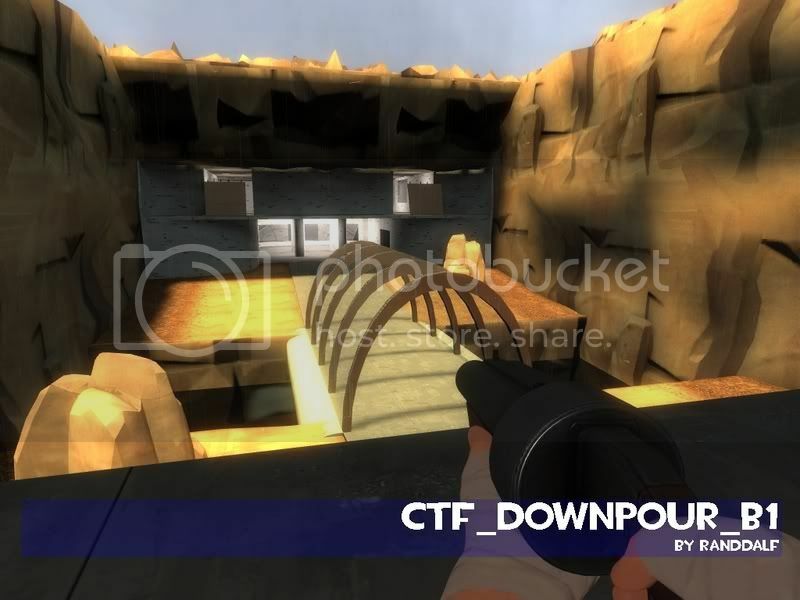 It was orignially going to be a CP map, but I wanted to try out the idea with CTF first. I played this one game day. Its a nice map. A couple of problems though. Light flare is almost everywhere. Tone down the lights. Repeating the stone wall prop outside is horribly obvious. Change that to displacements. Outside is far too barren. There were supposed to be no snipers on the test and I can see why. Good snipers would dominate this map. Im not sure the textures and asthetics are really worth mentioning since its a beta. Yea, tone down HDR lights in spawns and in general. Also if you could put air pockets in the map somewhere in the bottom that would be awesome b/c if you try to swim from one base to the other under water while fighting you are guaranteed to drown. 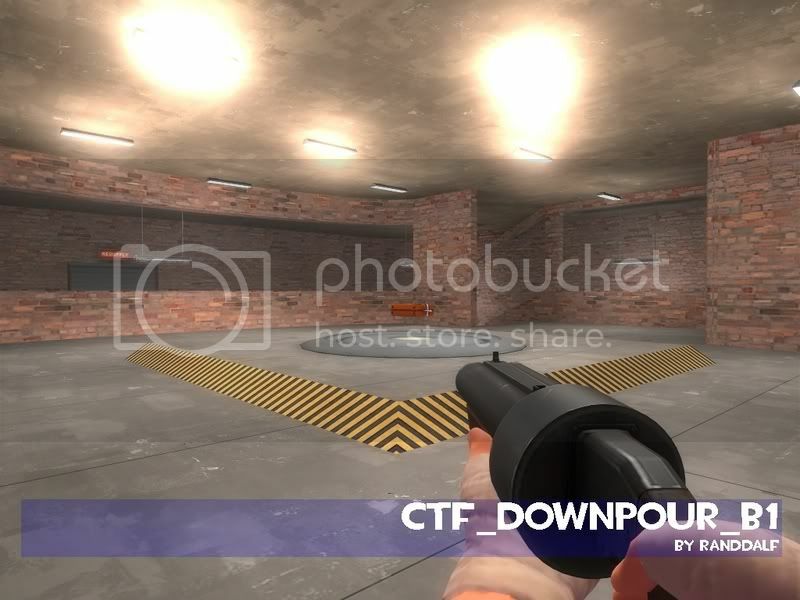 and seal up the map from the demoman jumps. For me, the water looked black when viewed from outside. This is probably because I run the game in directx 8 mode. 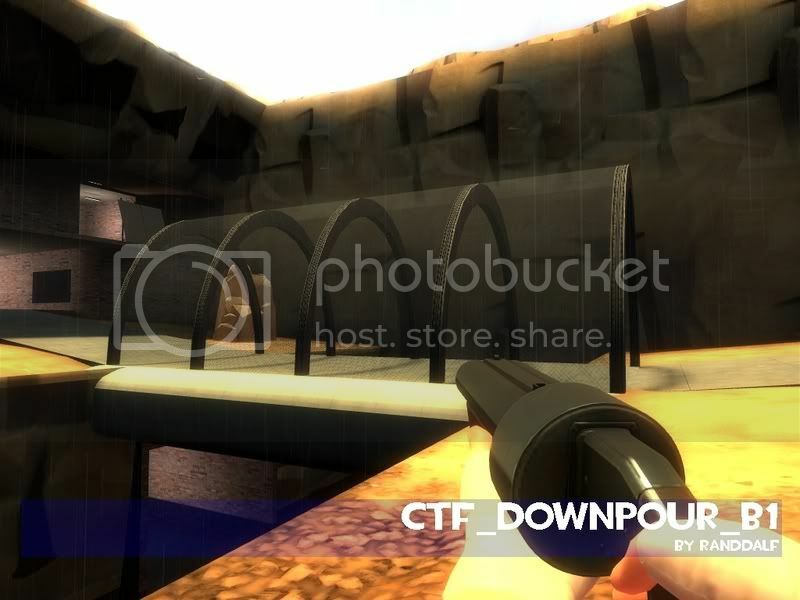 The problem may be your cubemaps, see this page: http://developer.valvesoftware.com/wiki/Adding_Water#Cubemaps_and_water. That must be your directx 8 then Pseudo, because I put cubemaps in and from my perspective (directx 9) the water looked like water. I think there's one other texture that would work, I'll see what it looks like. only problem i had with the water is i couldn't see into it well if i was above the surface. the best example of this was the ramp area below the spawn room. also figured i'd post my idea i came up with while ingame to put hurt boxes around the lights that act like a shocking effect while the lights are submerged. Yeah, I like that idea, although it would require some timing, so; is a speed of 1, equivalent to game inches per second?